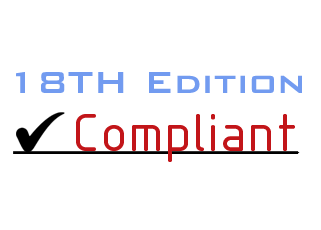 Our Software is Compliant with BS7671:2018 - 18th Edition. ElectricalOM will continue supporting 17th Edition. 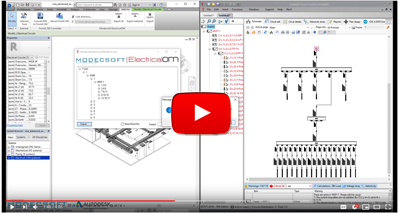 The Autodesk Revit ® - ElectricalOM synchronization tool provides Electrical Engineers and Designers the flexibility to synchronize their Revit Electrical Data with ElectricalOM allowing BS7671 Calculations to be applied in the Autodesk Revit Building Information Models and also to Auto-Create Schematic Diagrams. Modecsoft ElectricalOM is a Powerful, Fast & Accurate Software for Low Voltage Electrical Design, Modeling and Certification. Calculations and Checks Compliance with BS 7671:2018 , Harmonized with IEC 60364. I love the software and am very happy that I proceeded with its purchase. It has made our work so much more detailed, exact and believe it or not, enjoyable! This software is excellent, very stable when operating and implementing changes, and is improving all the time. I taught myself to use Modecsoft ElectricalOM in an afternoon well enough to knock out a 5 board design with full discrimination studies. To say i am impressed is an understatement! Thanks for all the hard work you are doing in developing this EXCELLENT electrical design software program. I am sure it will fast become the “go too package” for a lot of electrical contractors in the UK. Many thanks for the excellent program and the customer service! Copyright © 2019 MODECSOFT Ltd. All Rights Reserved.